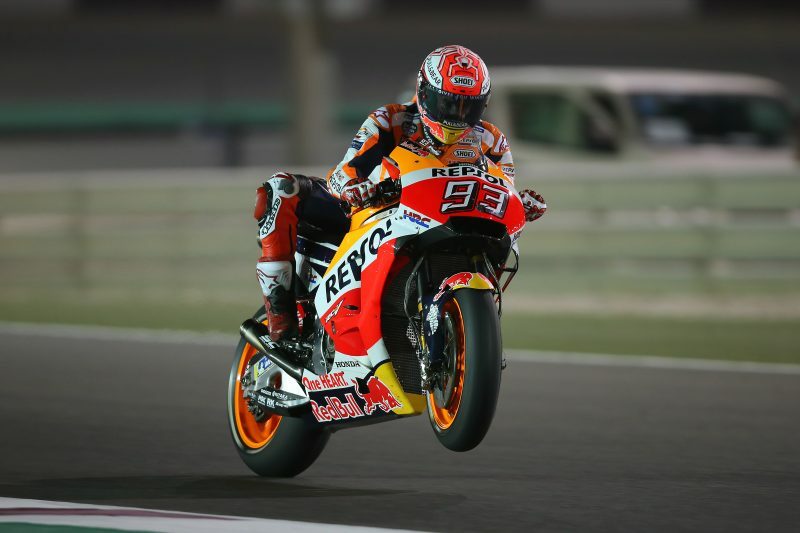 Day two­–qualifying day–at the Losail International Circuit saw weather and track conditions shift once again. 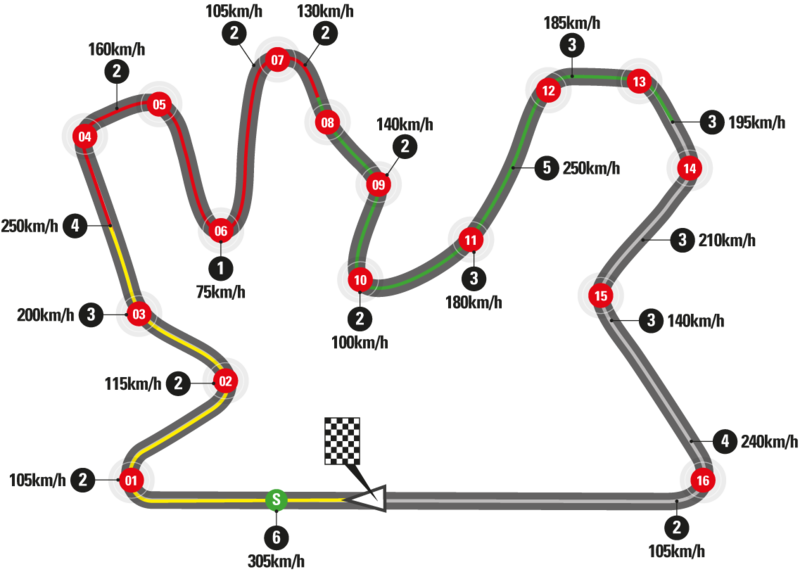 A restless wind blew sand on the track, leaving the asphalt quite dirty and slippery. 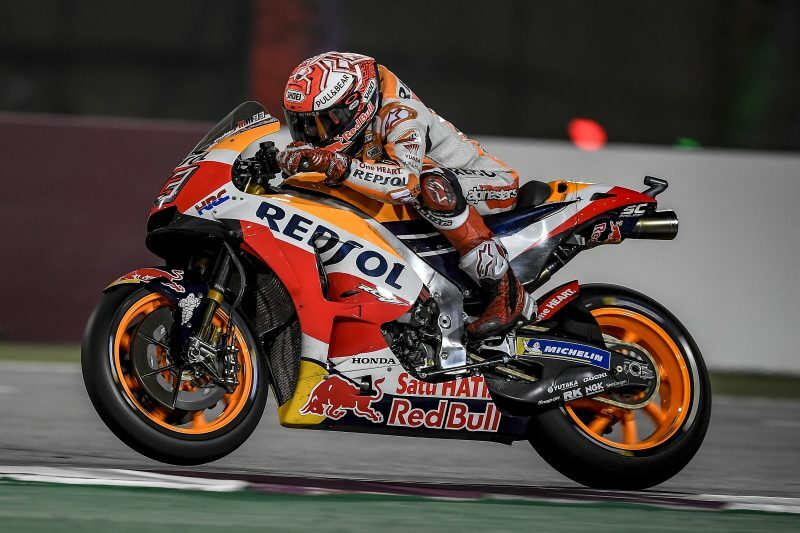 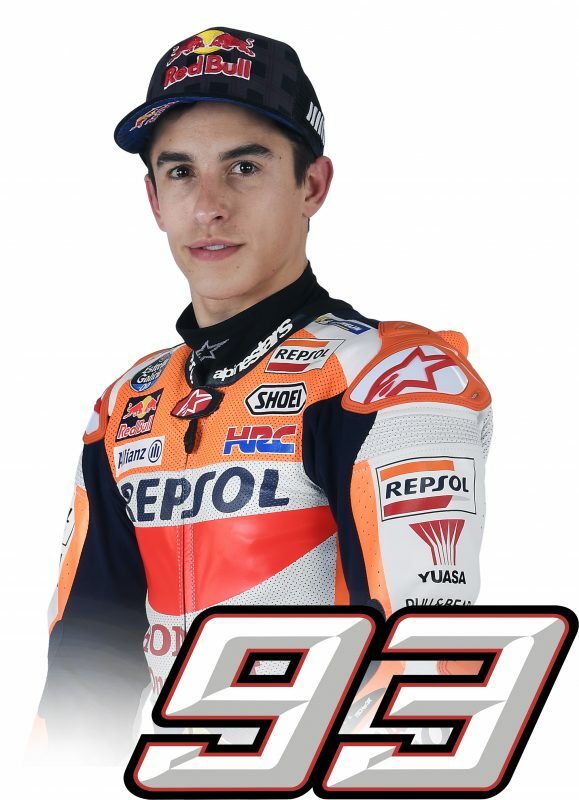 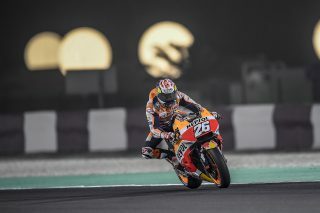 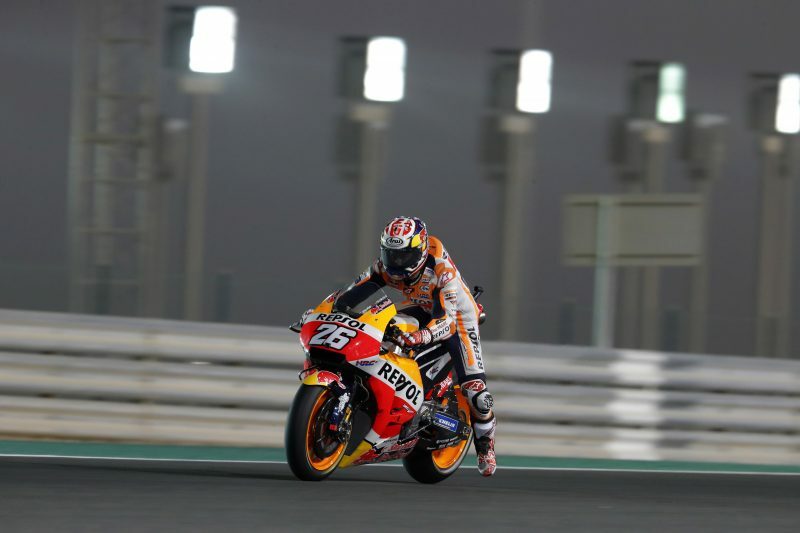 Marc Marquez was able to overcome the difficulties posed by track conditions to score an important front row start with the second fastest time of the day, a 1’53.882. 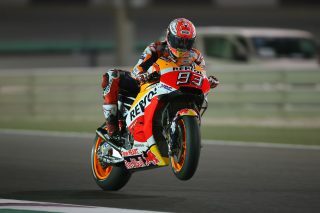 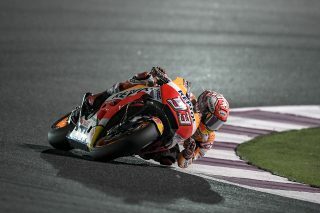 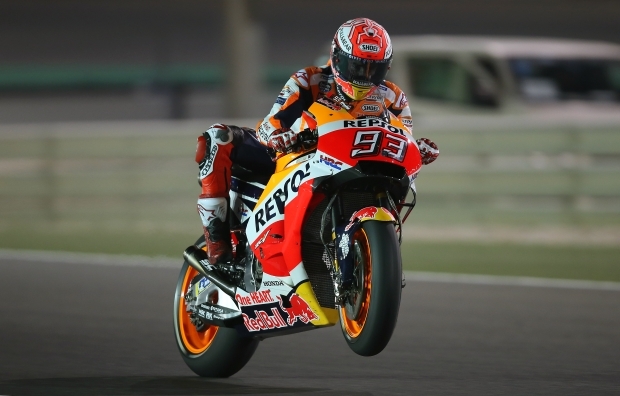 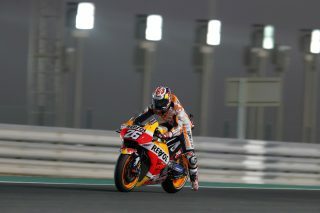 In the process, he became one of only three riders able to lap under the track’s previous best-lap record, which stood since 2008. 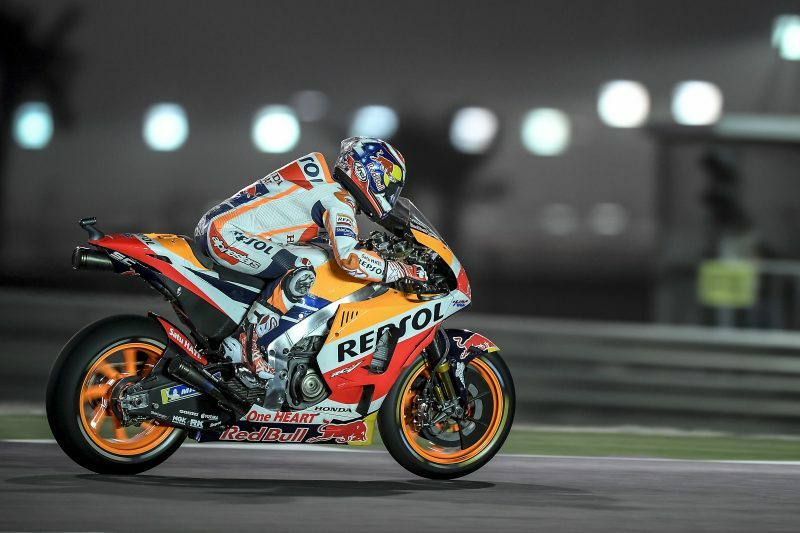 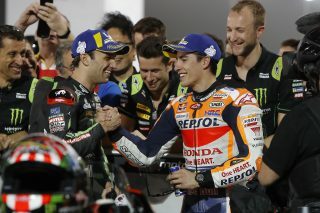 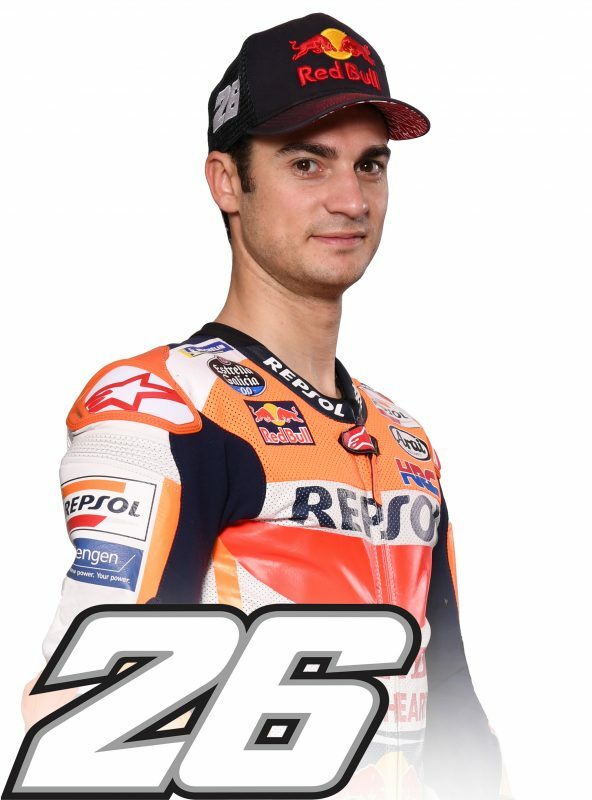 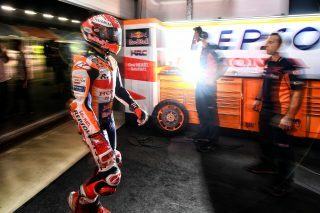 Dani Pedrosa, who tomorrow will contest his 200th MotoGP race, will start from seventh place on the grid. The Spaniard was happy with the progress that he made in terms of bike setup during FP4 and looks forward to getting a good start as the light goes out at 7:00 p.m. local time for the first round of the 2018 MotoGP Championship.